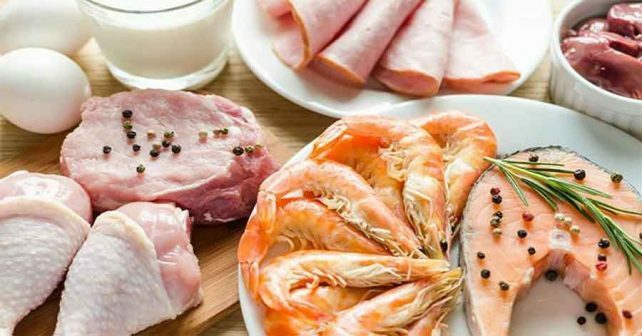 Agmatine Sulfate vs L-Arginine: which one is better? When it comes to nitric oxide boosters, two products come to mind: Agmatine sulfate and L-Arginine. These two supplement ingredients are regarded as the best nitric oxide boosters in supplements, and many supplements carry these ingredients to help enhance metabolism, blood flow, and nutrient delivery and support. With all the options in the supplement market, it helps to know if you’re taking the best products out there. In this review, we’ll outline some points to figure out which is better between these two ingredients. Agmatine sulfate is directly derived from L-Arginine through the removal of a carboxylic acid group or decarboxylation. Agmatine is stored in neurons and is releasd during neuronal activation. In medical applications, it has shown promise in relieving neuropathic pain and addiction, making it a top alternative choice for patients with long-term opioid use. Agmatine works synergistically with morphine and fentanyl which allows the user to reduce pain, pain killer tolerance and drug addiction. While both can increase nitric oxide levels in the body, taking these two ingredients in a stack is not entirely advisable. Agmatine is not entirely compatible with many ingredients that are related to bodybuilding, including L-Arginine, even though Agmatine is derived from L-Arginine. In theory, agmatine does not work well with arginine because arginine prevents some neurological effects of agmatine. The stack also has an effect on the cardiovascular system, but the cause of the interaction between the two ingredients are not entirely studied at the moment. Agmatine is also incompatible with Yohimbine and Rauwolscine – two ingredients that are also used in fat burners and muscle-building supplements since Agmatine activates the a2A receptors that these two ingredients inhibit, rendering the stack pointless to begin with. Agmatine also causes negative interactions with D-Aspartic acid, an amino acid regulator of testosterone synthesis due to reducing signaling via the NMDA receptors. It is also incompatible with creation, which positively influences NMDA signaling, and agmatine works in the opposite manner. In comparison, L-Arginine is compatible with most supplement ingredients, making it an ideal ingredient to stack with other supplements. Stacking supplements like creatine and D-aspartic acid greatly influences the gains that you could get when working out. L-Arginine and Arginine Alpha Ketoglutarate are the main ingredients used in NitroGenix 365, the best muscle-building supplement. Take one capsule of NitroGenix 365 a day to greatly enhance muscle strength, endurance, and recovery.